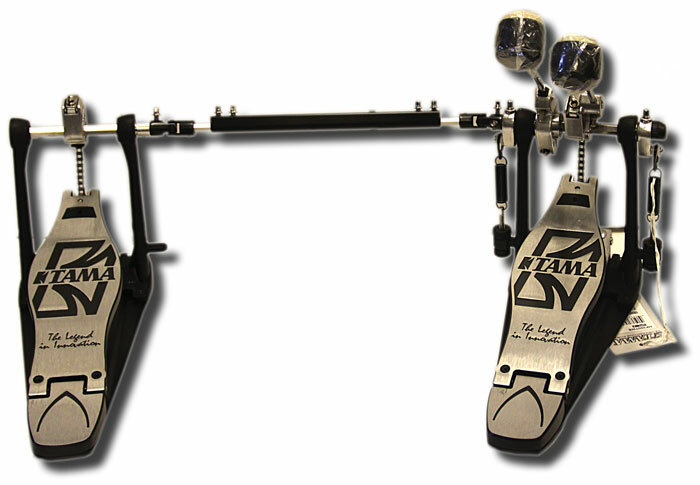 The Tama HP300TW Iron Cobra Junior double bass drum pedal has a redesigned footboard but the same offset Power Glide cam shape, beater angle adjustment and movable hop clamp of the Iron Cobra line. Tama developed the Junior line with the same design concepts as the Iron Cobra with an affordable price but professional response and quality. The dual sided beater provides full volume and clear attack. With a redesigned foot-board, the Tama HP300 Iron Cobra Junior single bass drum pedal was developed with the same design concepts as the IronCobra but at an affordable price. The HP300 Iron Cobra Junior has the same offset Power Glide cam shape, beater angle adjustment and movable hop clamp of the Iron Cobra line. A professional pedal with excellent response and quality.